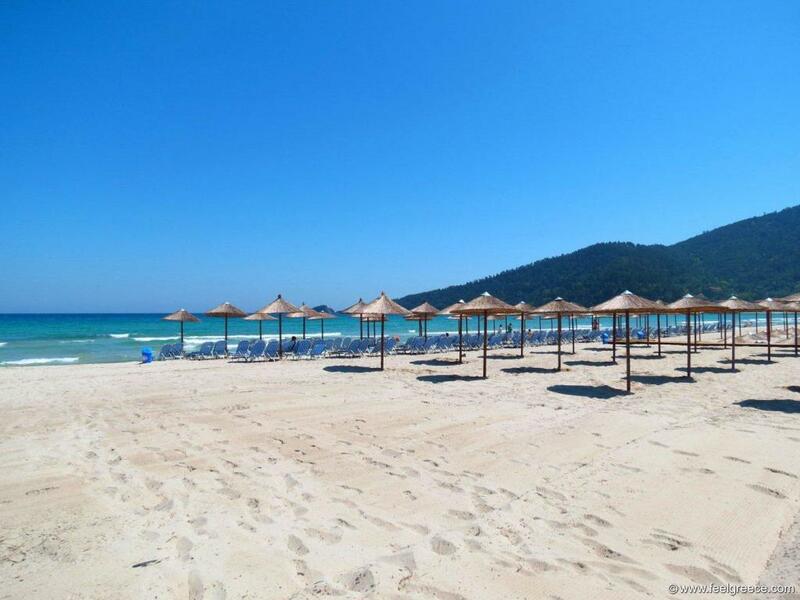 If you wonder which beaches to visit on Thassos island during your holiday, here is a selection of large sandy beaches and small isolated coves to suit different tastes. 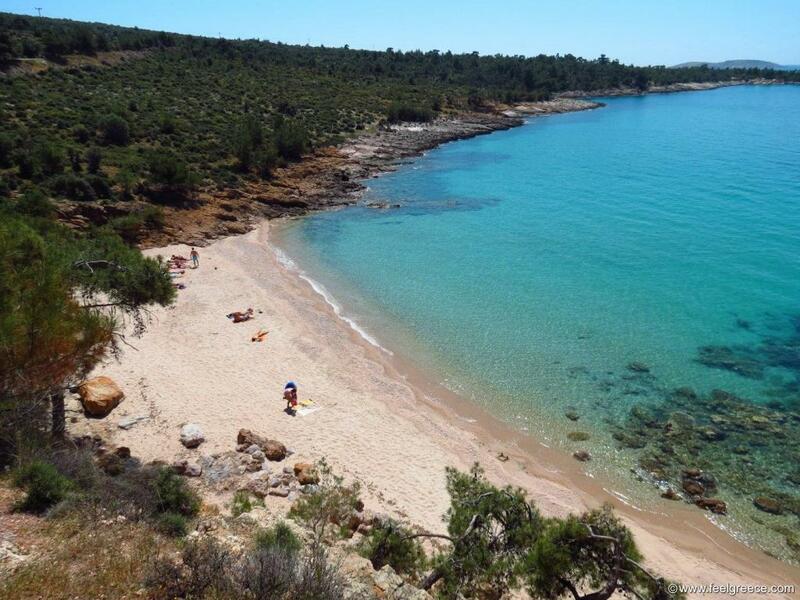 Notos is a small beach located between Potos and Psili Ammos. When traveling from Potos to Astris, you will find it just after Potos, next to Royal Paradise beach resort. The beach is sandy, with shallow blue water. In the summer season there are sunbeds and umbrellas which can be used for a small charge. 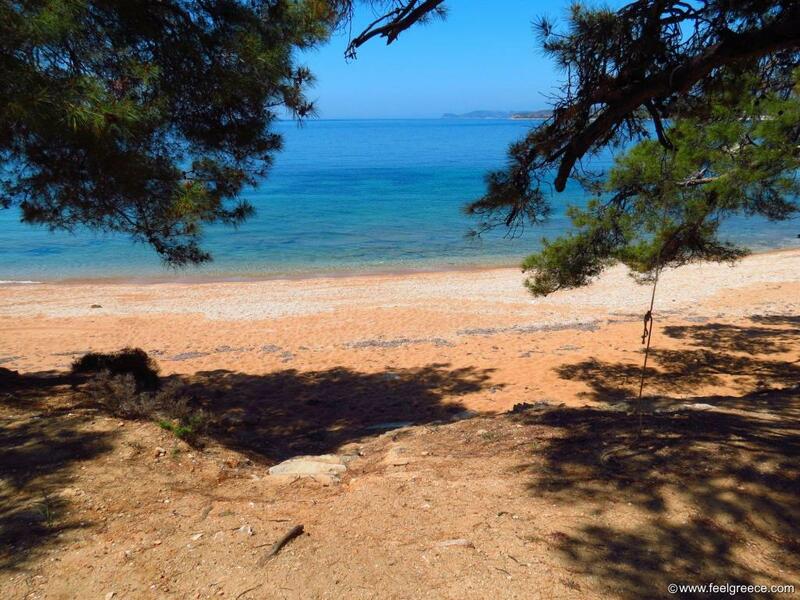 You will find Pachis beach about 8 km away from the capital Limenas, next to Skala Rachoni. In the area there are some hotels, a few taverns and lots of olive trees. 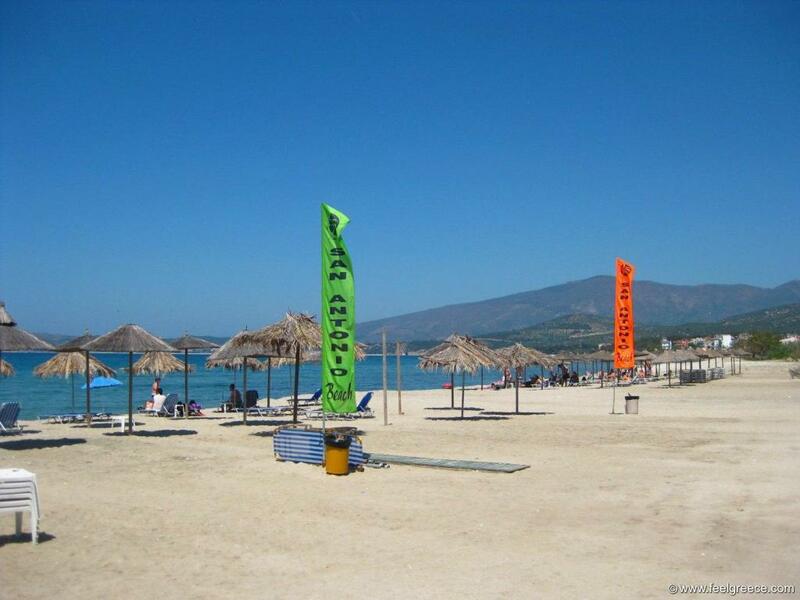 Sunbeds and parasols are provided by beach cafes and clients can use them free of charge if they order drinks. Pedalos with small slides are available to rent. 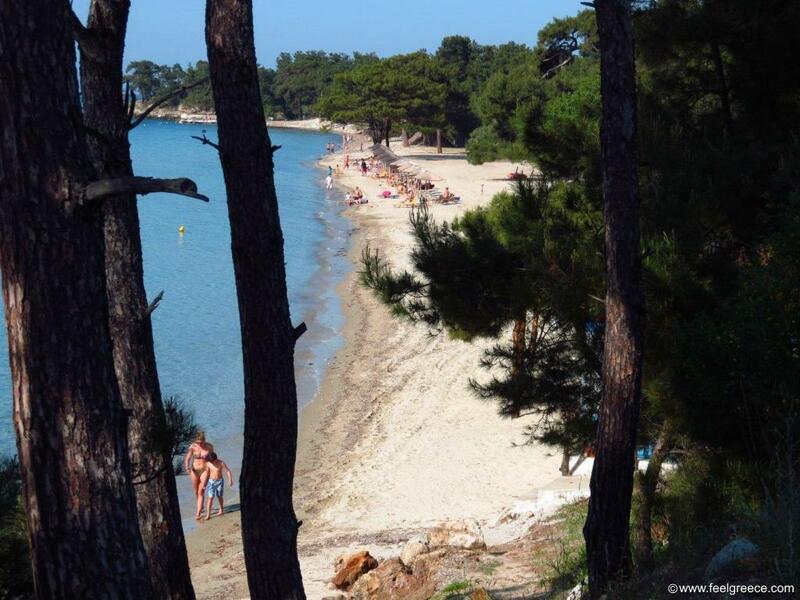 The beach has pine trees for natural shade and the sea is usually calm, without waves. The water is clean and shallow, and the sand is mixed with pebbles, especially around the shore and in the water. 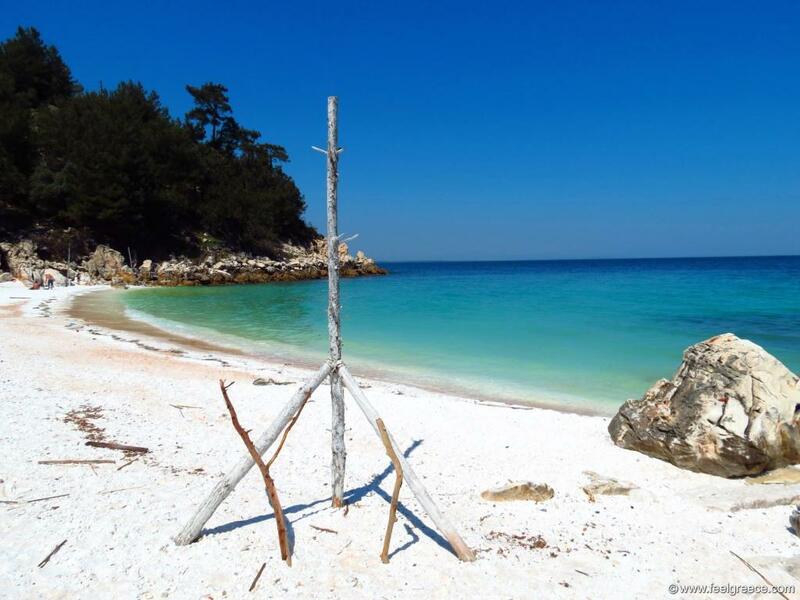 Psili Ammos is a beach in the southern part island of Thassos, near Potos. Its name means fine sand. The beach is 250 meters long with very fine sand. There are no rocks around the shore so you can walk safely without aqua shoes but sometimes there are strong waves. In some places the sea floor goes deep suddenly, so be careful in the water, especially with children. There is a beach bar with restaurant and sunbeds. Some water sports are available. There is one volleyball court and a mini market. 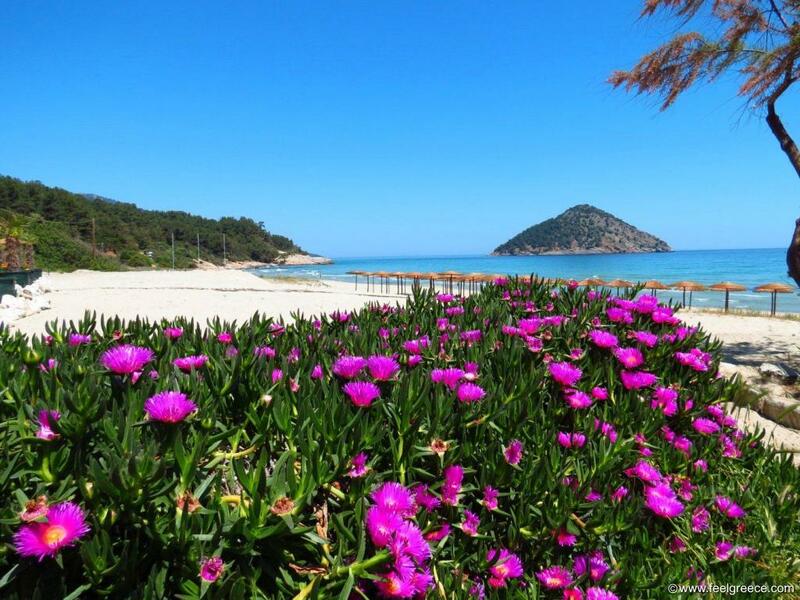 In July and August it gets crowded since it is very close to Potos and is known as one of the most beautiful beaches on Thassos. 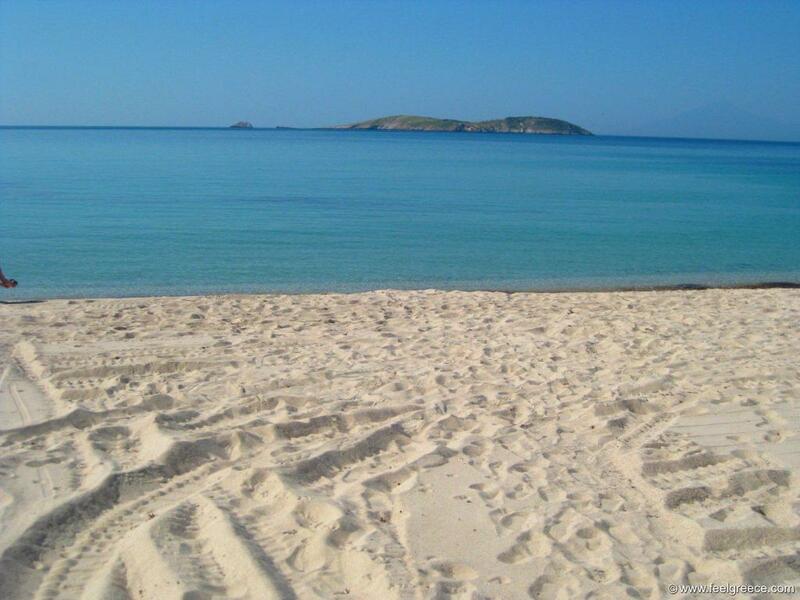 The beach of San Antonio (Agios Antonis) is located next to Potos. Actually, this is the extension of Potos beach but it is larger and has more space. It is sandy, with a couple of beach bars providing sunbeds and umbrellas. Behind the beach there are some hotels. You can walk to Potos on the beach and its center is approximately 500-600 meters away, suitable for evening walks and dining. You will not see signboards leading to this beach. 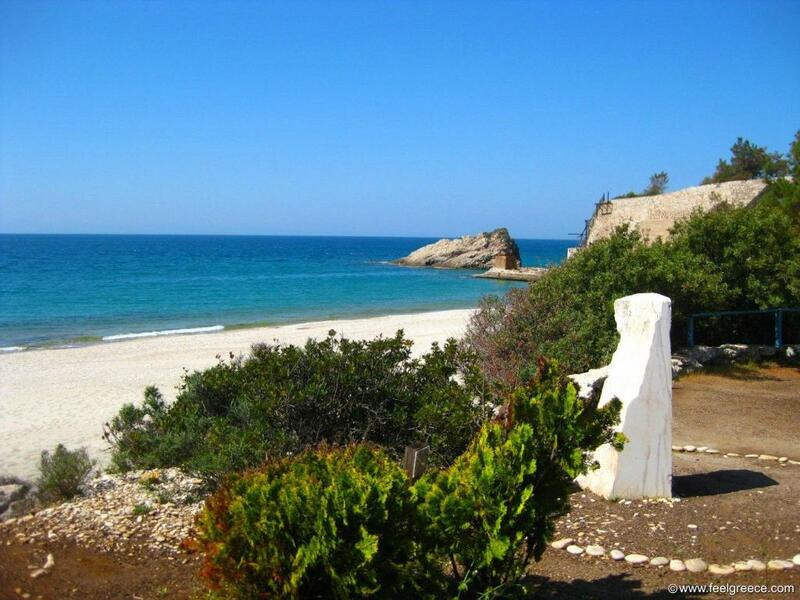 It is located on a cape in the area of Astris and you have to drive on unpaved road for a few kilometers to reach it. As there are no directions on the road, you should ask some of the locals or use GPS coordinates. 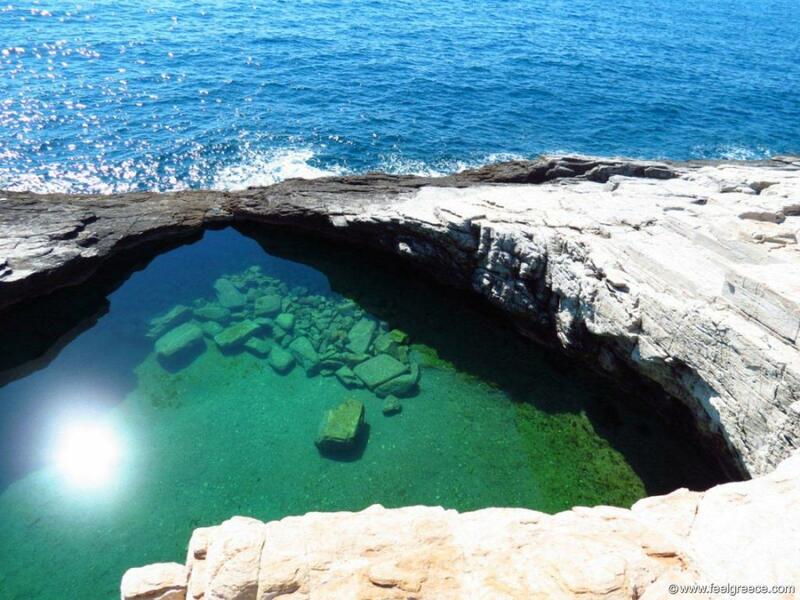 The beach lies between two rocks and the sea is usually calm, suitable both for adults and children. It is sandy, with some flat rocks on the sea bottom around the shore. In the summer the beach is organized with a beach bar, sunbeds and umbrellas. The pine trees around the beach make air cooler in hot days.